High blood pressure is a common problem in Florida, affecting almost half of all adults in the state between the ages of 45 and 79. It is also a risk factor for heart disease. Pedro Ortega, MD at Central Florida Primary Care can improve your blood-pressure numbers and reduce your risk of heart disease. For quality health care that focuses on you and your well-being, call the Winter Park or the Orlando MetroWest, Florida, office to schedule an appointment. Or book an appointment online at the office nearest you. You have high blood pressure, also called hypertension, if the force of the blood along your artery walls is higher than normal. Consistently high blood pressure can damage your arteries and increase your risk of heart disease. A blood-pressure reading includes two numbers, the pressure during your heartbeat, known as systolic pressure, and the pressure in between beats, known as diastolic pressure. One higher-than-normal blood-pressure reading doesn’t mean you have high blood pressure. To get a better sense of your numbers, if there’s a concern, Dr. Ortega will suggest monitoring your numbers with a home blood-pressure machine or that you check your blood pressure each time you visit a local pharmacy that has a blood-pressure machine. These symptoms usually occur only if your blood pressure has reached life-threatening levels. Dr. Ortega and his team at Central Florida Primary Care focus on preventive medicine, and if your blood-pressure numbers begin to creep up, the team will provide recommendations to help reduce your risk of developing high blood pressure. Dr. Ortega develops personalized treatment plans for each of his patients to help lower high blood pressure. Treatment can include a combination of diet changes, exercise, and medication. If you’re overweight or obese, losing a few pounds can lead to a dramatic improvement in your blood pressure. 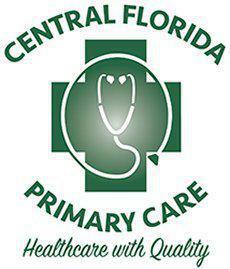 Central Florida Primary Care offers a weight-loss program with a health coach if you need medical guidance and support to get to a healthier weight. For expert care for your high blood pressure, call Central Florida Primary Care to schedule an appointment, or use the online booking button.